Akademi delivers outreach work in a wide range of settings, including hospitals, day care centres, schools, care homes and community centres. 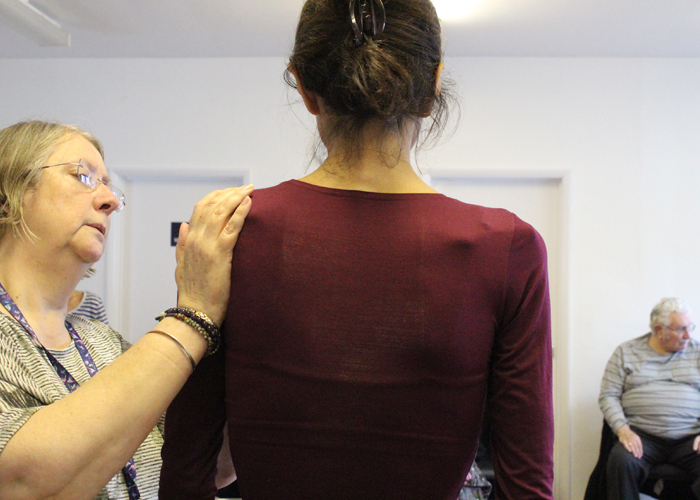 Find out more about artist training provided by Akademi. 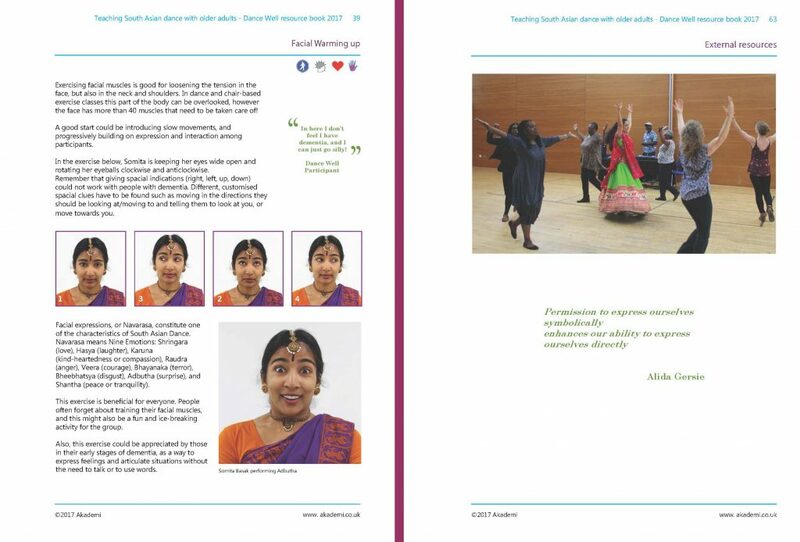 You can download Akademi’s resource book Teaching South Asian dance with older adults for free. This publication brings together collected exercises and activities specific to South Asian Dance forms, that have worked well with older adults and those living chronic health conditions. 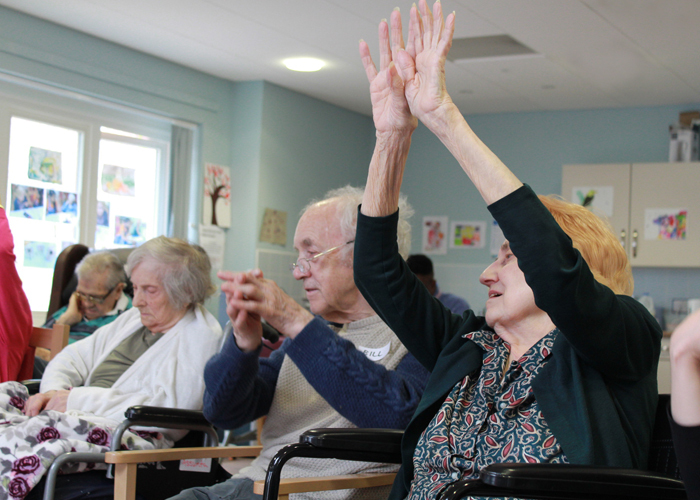 This library of educational videos is designed to serve as a toolbox to dance artists and activities co-ordinators when planning activities with older adults. 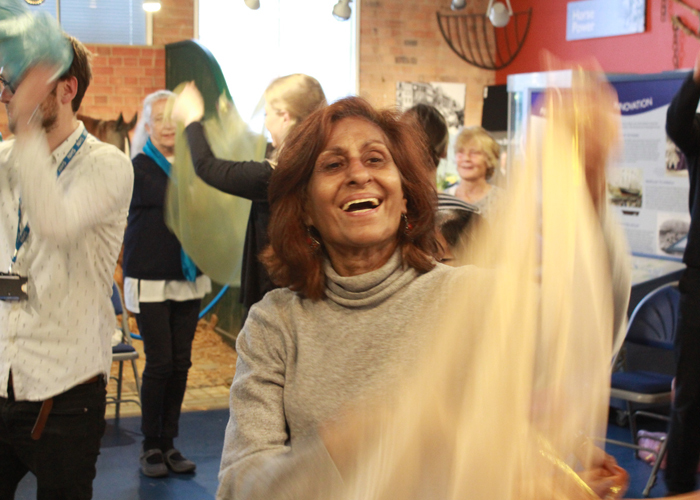 These resources have been created by Akademi’s Dance Well artists as a result of their own workshop delivery with older adults in community settings, care homes, day centres and hospitals. 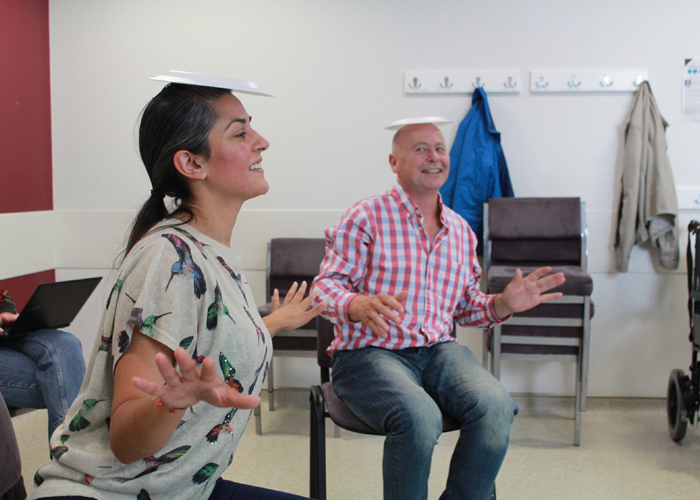 Here you will find exercises inspired by South Asian dance styles, including Kathak and Bharatanatyam, that are suitable for a range of mobilities and those living with dementia.